Because of the portability and compactness of OnePlus One phone, many people use them as storage for their important files including contact lists, call history, calendar, videos, photos and text messages that may contain important information that you cannot afford to lose. But, what if you accidentally delete your files or your OnePlus One Smartphone is damaged to the extent that all data on it are gone? It is easy to replace a damaged cellular phone but restoring information stored on it could be a very challenging undertaking. If you are using your OnePlus One phone for business, chances are the names in your contact list belong to your business associates and not being able to contact them again could hurt your business. Your video and photo files could contain pictures of memorable events that you cannot capture again. The havoc caused by deletion of the files in your phone could make life difficult for you. However, if you happen to lose all data in your OnePlus One phone, don't panic. We'here to help you by providing you with a program that will answer your query as to how to recover deleted file from OnePlus One without any loss. 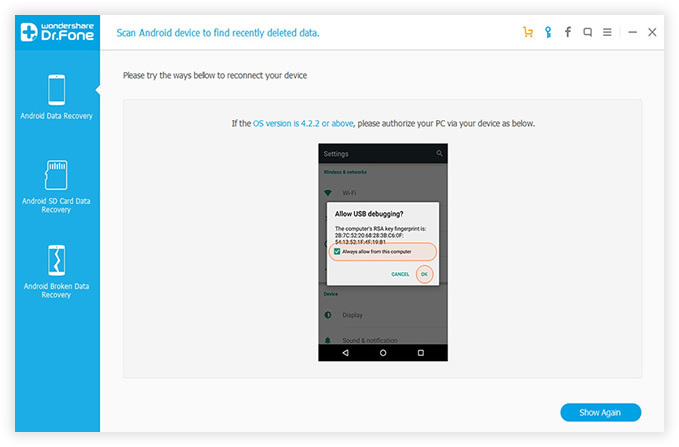 Protect yourself from possible data loss by installing Data Recovery for Android, a program that can retrieve any files that you have unintentionally deleted or removed or those that were gone due to accidents that damaged your cell phone's operating system. Your device could be broken, submerged in water, get virus, or have its system crashed. No matter what happens, you will always have your data back at the easiest and most convenient possible. Supported OnePlus Devices: One Plus 5, One Plus 3T, OnePlus 3, One Plus X, OnePlus 2 and OnePlus 1. To perform the recovery process, firstly you need to download, install and run the OnePlus One Data Recovery application on your PC. Then, plug your OnePlus One phone to your personal computer via the USB cable. In order to ensure the program has the full access to the storage system, you need to root your OnePlus One phone and enable USB debugging before start the recovery. The methods are different on different Android operating systems. To make sure the program has the enough authority to scan your rooted OnePlus One and other phones, one thing you need to do is click 'OK' on your phone's screen when an Superuser Request pops up. 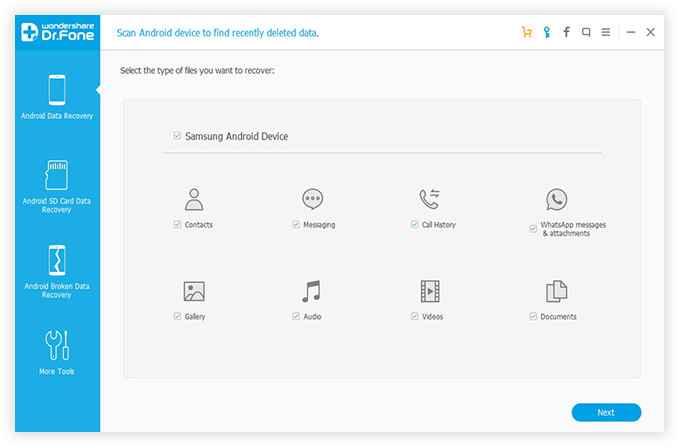 In this step, there are many recovery options available for you to decide which type files you want to scan and recover. If you only want to retrieve contacts, just mark the 'Contacts' item. This will significantly reduce the time of scanning, then click 'Next' to start scanning. It is amazing how the program is supported by numerous phones and networks. 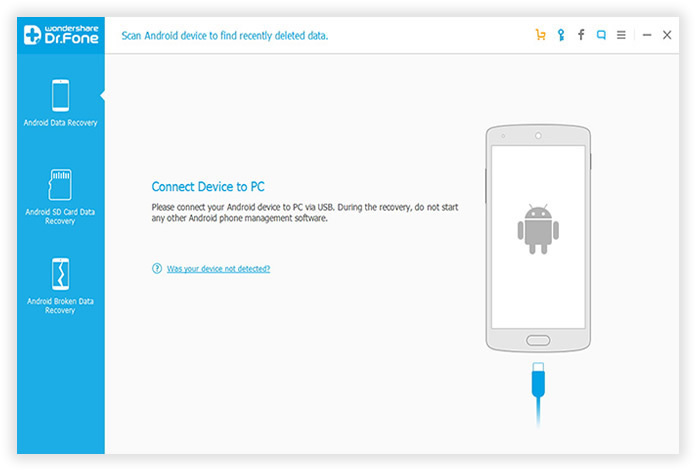 You can use it to recover data from many other brands of mobile phones. This means that whatever device you use, it will be able to help you. 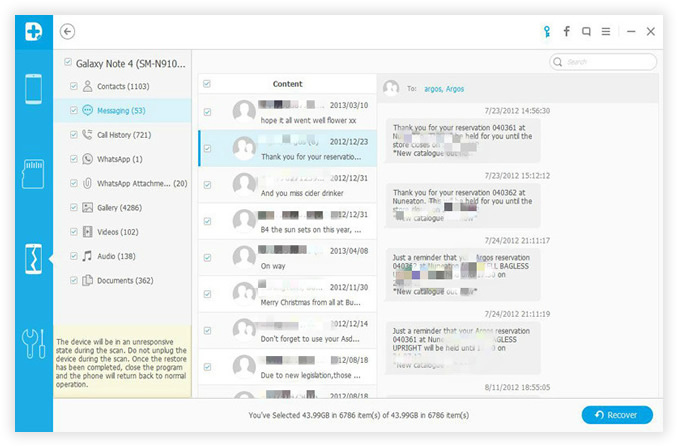 With just three simple steps, you will be able to get back all data that you have lost, including recover SMS, contacts, photos You will notice that the recovered data will be saved to different formats on your personal computer, for instance, the contacts and messages can be exported as HTML, CSV, VCF and word format. Don't forget to develop a habit of making a backup of your OnePlus One phone regularly. To make sure that all lost data will be successfully recovered, if your phone is still working well, stop using it. Data that you cannot find are still there but you will absolutely lose them if they are overwritten. Restore lost data quickly at the lowest cost possible using Android Data Rescuer; it not only helps android users recover whatever files they lose, but also has the capability to make repairs on your Android phone's system. 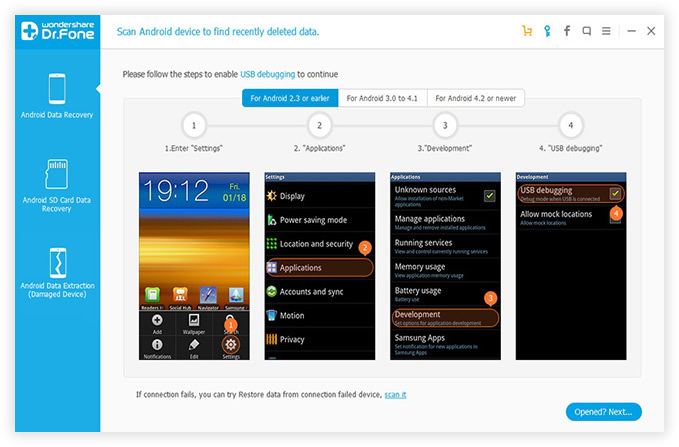 Get back important information that you deleted unintentionally regardless of whether you have a damaged phone or not. With a growing list of android devices that it can support, you will be able to get help from the software anytime and anywhere. Losing data need not fill you with fear because you have this program to help you get them back.